One of the most exciting announcements of Google Next was Postgres support for Cloud SQL. Now that it’s available here’s a rundown of how it measures up. SQL made scalable for time-series data. It’s Postgres compatible and optimized for fast ingest and complex queries. Postgres-BDR is a multi-master replication system for geographically distributed clusters using highly efficient, asynchronous logical replication. 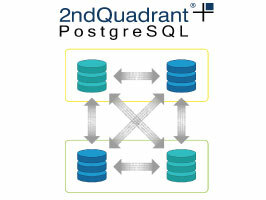 It supports anything from 2 to more than 48 nodes in a distributed database. PostGIS is one of the most powerful GIS databases around. PgRouting is the part that helps you find paths and routes from one area to the other, and here’s how you can use it. Equinox is a testing framework built on top of PLV8 & Node.js where all tests are written in JS. A slidedeck from the recent PGConf RU conference in Moscow looking at troubleshooting streaming replication, and how you can quickly find/eliminate replication problems. NUMERIC is often used as a primary key type in Postgres due to automated migrations from Oracle. While mapping Oracle’s NUMBER to NUMERIC is easy, it can result in poor performance. A perf analysis of FDW (Foreign Data Wrapper) overhead on intensive transaction workloads. Are Hash Indexes Faster Than Btree Indexes? Postgres supports a variety of index types. Here’s a look at the performance differences between hash and Btree (though be careful using them before Postgres 10 gets here). ORMs don’t always generate the most performant queries. This article looks at an example from Django and how it can be optimized. For the more theoretical amongst you.